LOL! You got me before I could finish my explanation! 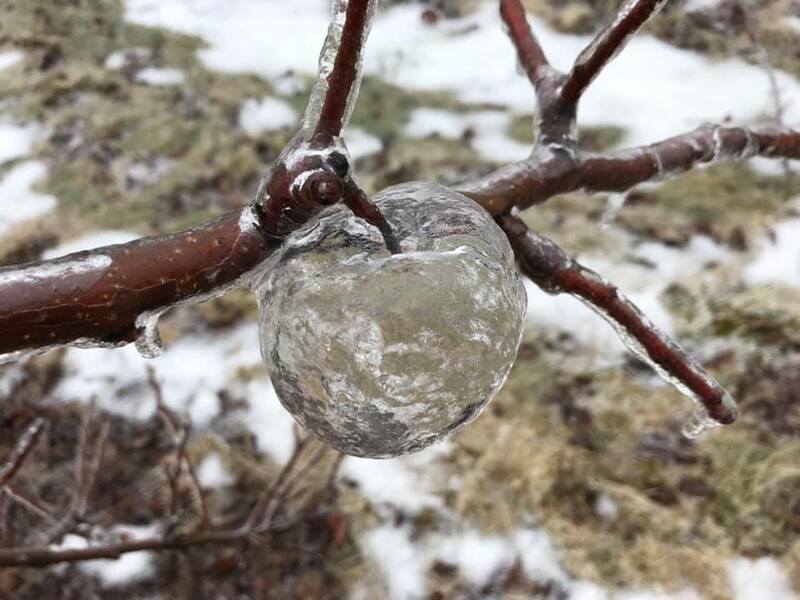 The freezing rain coated rotting apples, creating a solid icy shell around them. When pruned, the trees would shake, causing many of the frozen apples to fall off, ice and all. However with a few of them, the mush slipped out of the bottom of the ice casing, leading to a "ghost apple." Totally Kewl! And thanks for explaining! I may not want to get too close to this. You did cross my mind, lol!